For some reasons, after installing Ubuntu 15.04 on MeLE PCG03 a while ago, I had to re-install Windows 8.1 on the device. The backup I used with dd did not work, so I had to download the firmware from MeLE forums, and it worked OK. Right after the re-installation was complete, it asked me if I wanted to upgrade to Windows 10 for free, and I have given it a try, especially a few days ago somebody asked about Windows 10 on MeLE PCG01. So I’ll describe the update process on PCG03, show benchmarks results, and write about my experience with Kodi 15.0 in Windows 10. 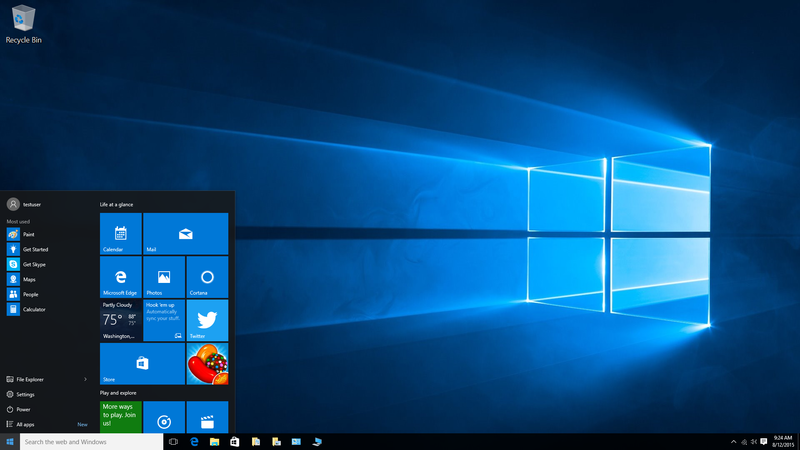 Once you are ready to update to Windows 10, the system will check for updates, and ask whether you want to download and install Windows 10. The download is over 2GB large, so it may take a while. It took PCG03 around 2 to 3 hours to complete the download. Once it’s done, Windows will let you know that “Your upgrade to Windows 10 is ready”, and ask you to reboot. 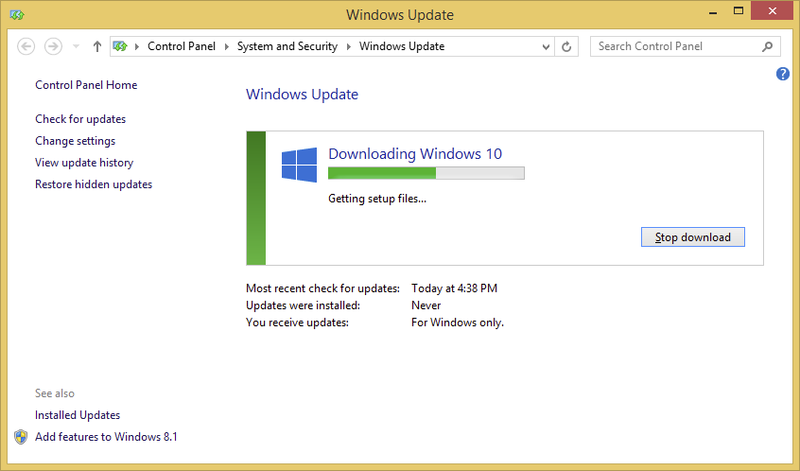 I was expecting the installation to take one hour, but after 2 hours and thirty minutes, about 25% was completed, so I went to bed, and left it run overnight… In the morning, I just had to click a few more times, and Windows 10 was installed successfully. Setup is mostly finished, but I soon got notified that after Windows 10 installation, as well as PCMark8 and Kodi, the eMMC flash was nearly full… and directed to Settings->Storage. The reason being that Windows 10 keeps a copy of Windows 8.1 for a month just in case you decided to revert. This is all good on a PC with a large hard drive or SSD, but on a 32GB system, this becomes problematic. 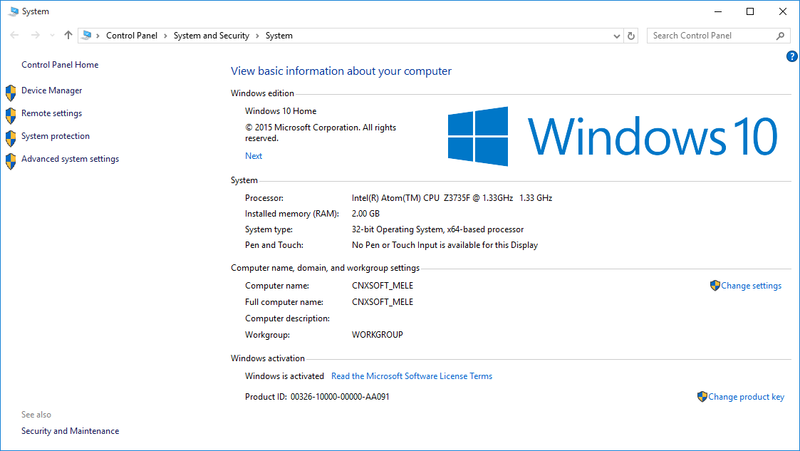 It’s easy to remove Windows 8.1. Click on Temporary Files to see more details. Finally click on “Delete previous versions” to recover over 10GB of storage. For some reasons I had to click there twice, as after the first click, and a few minutes processing the 10.1GB still showed. But finally, all worked, and I got 18.4GB free space. Finally, I wanted to check whether the License status changed after installation, and the mini PC is still said to run an activated version of Windows. All Good! Everything appears to work as it should on Windows 10 including Ethernet, WiFi and Bluetooth, although after pairing with my Mediatek phone successfully, I failed to send a file over Bluetooth. I’ve also run PCMark 8 and DiskCrytalMark to compare the results to the ones I got with Windows 8.1. 1105 points in Windows 8.1 against 1052 points in Windows 10 with Futuremark PCMark 8, so both results are quite similar as they should be. But overall, Windows 10 upgrade from Windows 8.1 and such device is pretty straightforward, albeit it may take many hours, and performance should be expected to be similar. Finally, I installed Kodi 15.0 from an earlier download, and a first I got the message “XBMC can’t load sqlite3.dll” when starting Kodi. But I re-downloaded Kodi 15 for Windows again, and the error message disappeared. I could play files from a USB hard drive, and an “open” SAMBA share, but I could not connect to a password-protected SAMBA share located on an Ubuntu 14.04 computer. I pllayed various 1080p and 4K videos, and as with Kodi 14 on Windows 8.1 results were very good, except for H.265 videos with are not supported by the platform. We have upgrade PCG01 to Windows 10 Home Edition successfully. Note that we have also installed all the patches available for Windows 8.1 with Bing before we upgrade it to Windows 10 Home Edition. The update should also work with most other Intel Atom Z3735F devices, although some dual boot devices may brick if you attempt the update, so be careful if you have such device. 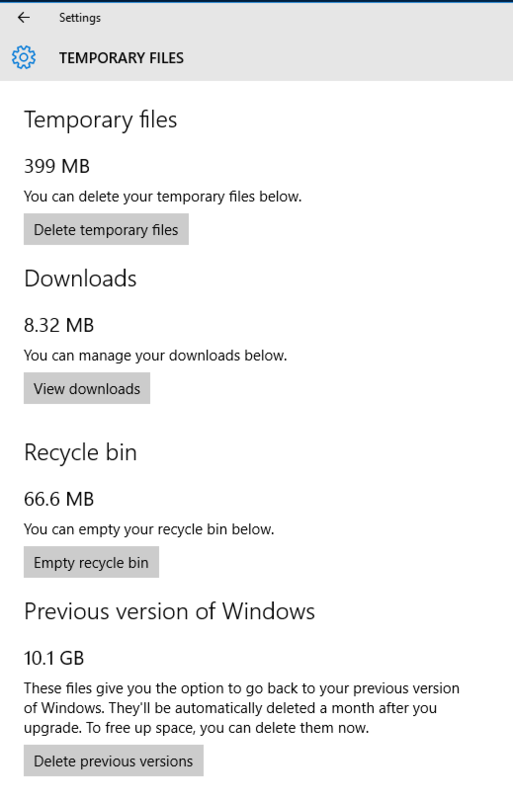 I’m also not sure what happens if you have a non-activated version of Windows 8.1 installed. I did the update yesterday. I still have to check tonight if the battery drained during teh sleep mode or if the Z3735 in my tablet simply doesn’t wake up from sleep mode with Win10. Or even worse if the tablet never switch on ever. If the sleep mode doesn’t work anymore then I’ll rollback, if the tablet doesn’t switch on then it will go to aftersale services. Does anybody know how to keep the “Just Scan” feature locked in on Samsung TVs while connected via HDMI to Windows? The Intel Graphics Card settings only allow 1920 or 1080 settings so I cannot get the resolution correct while in 16:9 mode on the Samsung TV. When I switch the TV to “Just Scan” the picture fits perfectly, BUT whenever I open Kodi or certain other apps the Samsung TV reverts back to 16:9 upon the splash screen. Is there any special Intel Graphics Card download that allows (key-in) precise resolution settings? The “Just Scan” should be remembered by your TV. The “Dot by Dot” option in my Sharp TV is remembered per input. It’s odd Kodi changes that… Maybe ask on Kodi forums. 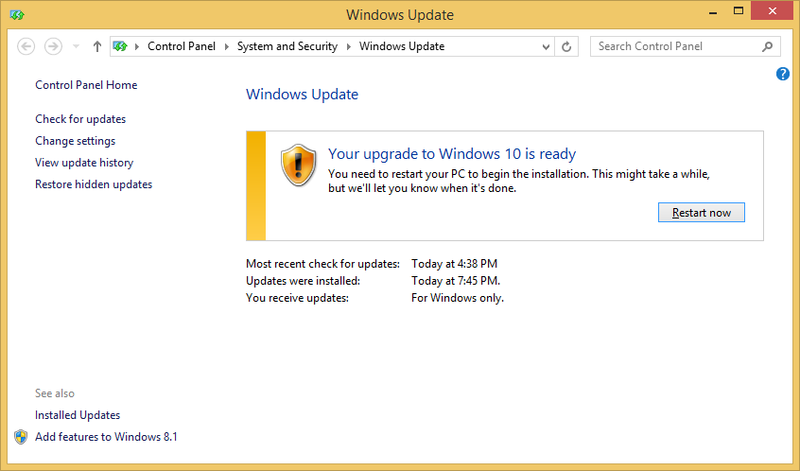 I’ve done the Windows 10 upgrade with MeLE PCG01 finally. The Windows partition is a bit smaller (23GB), so Windows would not upgrade until I inset external storage, so I inserted a 16GB micro SD card so that the installer can move Windows 8.1 back to the SD card. Has it got 64bit bios unlike wintel? I think all the Z3735F sticks have a 32-bit UEFI binary, except maybe Intel Compute Stick (TBC).